Each strand of hair on your head is composed of three layers. The outermost of the layers is the cuticle, which consists of dead cells that overlaps each other. The middle layer is the cortex. It is composed of proteins which gives strength and texture to the hair. The innermost layer is the medulla which is responsible for giving the color to the hair. When the cuticle is worn away then the shine of our hair also goes away and it looks dry. Our hair breaks and split ends occur and our hair starts looking unhealthy. It is caused when our hair is damaged and due to lack of nourishment in hair. It is very common among women especially who have long hair. Exposure to the sun for a long time. Brushing or combing wet hair. Excessive use of hot styling tools. Excessive use of gels, hair sprays or any alcohol based hair products. Due to use of chemical rich products for hair straightening, perming etc. Use of uncovered plastic rubber bands. Use of cheap and bad quality brushes or combs that have plastic bristles. Use of metal or plastic clip. Unhealthy diet especially low-fat diet. 1)- Take a bowl and whisk 1 egg yolk. Now mix 2sp almond oil in it and mix well. Massage your scalp with this mixture and leave it for half an hour. Then wash your hair with water. 2)- Take a papaya and mashed it in a bowl. Now add half cup of plain yogurt in it and mix well. Apply it on your scalp and leave it for 45 minutes. Then wash your hair with lukewarm water. 3)- Take 1sp coconut oil, 1sp castor oil and 1sp olive oil in a bowl. Now heat it for few seconds and massage your hair with it from roots to tip. Cover your hair with shower cap and leave it overnight. Next day wash your hair with water. 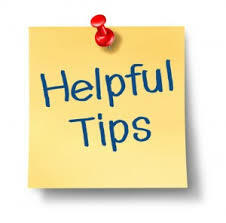 4)- Take a half bowl of yogurt in a bowl and mix 2-3 sp of vegetable oil in it. Now massage this mixture on your split ends for 15-20 minutes. Then rinse off your hair with warm water. Repeat it 3-4 times a week. 5)- Take a bowl and beat 1 egg yolk in it. Now mash 1 avocado and mix it with egg yolk. Mix 2sp olive oil and 1sp honey in it. Mix well and massage your hair with it. Wrap your head with shower cap for 30 minutes and then wash your hair with water. Use good quality conditioner after shampoo your hair. 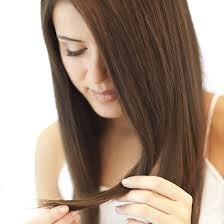 Trim your hair regularly after 6 – 8 weeks. Cover your hair with scarf or put a hat while going outside to protect your hair from sunrays and dust.